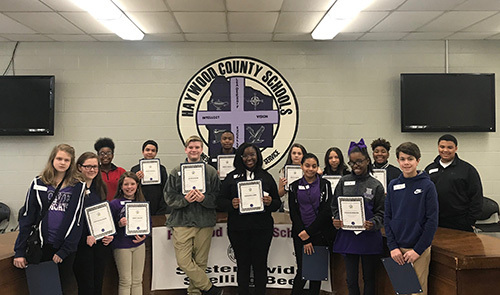 Qualifying students at Haywood Middle School participated in the school’s Spelling Bee on January 11. The winners of this level of competition then competed in the Haywood County Schools Bee at the Board of Education on January 18. Winning first place was Jacob Eichler, and second place, Zordashia Lewis. 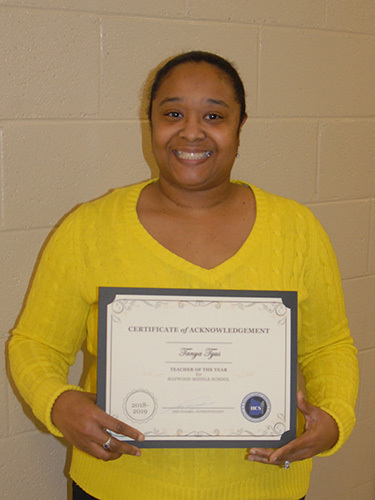 These students will compete in the regional contest.